Clear Creek Associates provides on-going support to Freescale Semiconductor at the Motorola 52nd Street Federal Superfund Site – one of the largest and most complex Federal Superfund Sites in the nation. The Site is an area of groundwater impacted by historical releases of volatile organic compound (VOC) that extends for several miles through central Phoenix. The observed contaminants are primarily TCE, 1,1,1-TCA, and to a lesser extent PCE and the associated degradation by-products of TCE and TCA. Due to the size of the Site, it has been divided into three Operable Units (or OUs) and numerous potentially responsible parties have been identified as having contributed to the observed groundwater plume. Groundwater impacts are observed in a multi-layered alluvial aquifer and the underlying fractured bedrock groundwater system. Free phase product, known as a dense non-aqueous phase liquid (DNAPL), is observed in fractured bedrock at the former 52nd Street facility. Members of Clear Creek Associates staff have been providing on-going support to Motorola Inc. and its successor, Freescale Semiconductor Inc., for over 20 years in a broad range of activities related to soil, soil-gas and groundwater investigation and remediation in the OU1 and OU2 portions of the Site. Our staff developed the Remedial Investigation/Feasibility Study for two of the OUs to define the nature and extent of contamination and evaluate potential remedial alternatives. Clear Creek Associates also supported the ensuing remedial design and performs routine evaluations of the effectiveness of the on-going groundwater cleanup. Several generations of groundwater models have been used to evaluate contaminant migration and design multiple groundwater extraction and treatment systems. Clear Creek Associates staff oversaw the installation of numerous groundwater wells at the Site including conventional monitoring wells, multiport monitoring wells and groundwater extraction wells. 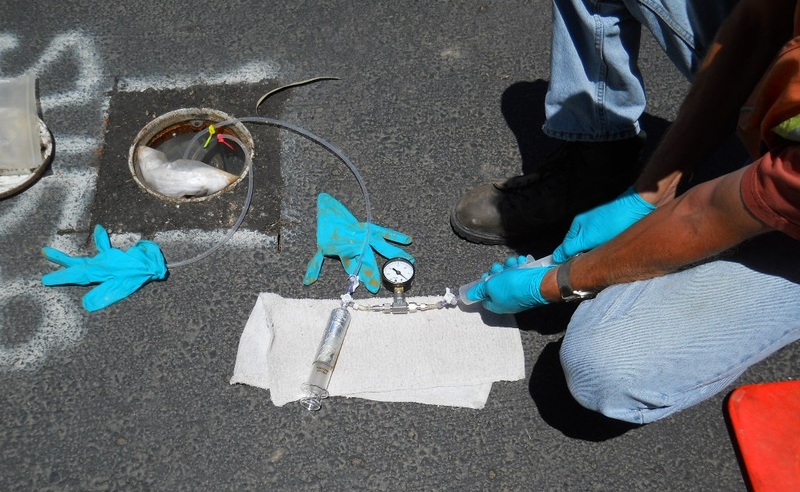 We conduct routine groundwater monitoring at the site and maintains a site-wide database. Our staff also provides regulatory support to Freescale including permitting support and negotiating settlement agreements and Consent Orders. Recent activities include supporting Freescale in identifying a new beneficial end use for the remediated water, evaluating the feasibility of enhanced bedrock remediation efforts near the DNAPL source zone, and conducting a soil gas to indoor air pathway evaluation and subsequent indoor air mitigation efforts in the OU1 area.